Since my election to Congress back in November, I have been closely following the Asbury Park Press investigative series regarding the Federal Emergency Management Agency seeking total or partial repayment of funds from some superstorm Sandy victims (”Pay it back! Superstorm victims told to return aid,” Nov. 30). While all taxpayers would support FEMA recouping funds that were acquired via fraud or deception by people trying to game the system, the APP’s reporting leaves me deeply concerned that the monstrous FEMA bureaucracy could be targeting innocent people who rightfully received FEMA monies in the wake of Sandy and have neither the need nor ability to repay those funds. FEMA’s enforcement actions should be targeted at those who knowingly and intentionally tried to abuse the system, not innocent people who applied for and received monies they believed they were entitled to. Monies, by the way, that have likely long since been expended as part of rebuilding their homes, businesses and lives. If you are one of these innocent victims I want to hear from you. That’s why along with Berkeley Township Mayor Carmen Amato, Legal Services of New Jersey and the Ocean County Long Term Recovery Group, I will be organizing a free legal clinic for Sandy survivors in Ocean County on Saturday, Dec. 13, from 10 a.m. to noon at the Berkeley Township Recreation Building (630 Route 9, Berkeley). As the new representative from the 3rd Congressional District, I will stand with any victim of Sandy who believes they are qualified recipients of this money and are now being asked to repay it unfairly. I will request that FEMA provide clear and convincing legal evidence to the contrary before delivering another crushing financial blow to people whose lives were turned upside down by the storm. Any erroneous disbursement of monies to a recipient that applied for those funds in good faith is not the fault of that recipient, but rather the fault of FEMA. By the same token, the burden of proof as to whether an applicant was not eligible for funds should also rest with FEMA. Unfortunately, though, FEMA’s surprise recoupment letters are demanding that people compile receipts and documents, which in some cases go back several years — records that understandably may have been discarded after the original claim was paid. Worse, FEMA is placing an unfair burden on these recipients under the threat of wage and benefit garnishments, as well as tax liens that will only compound financial problems for people still struggling to rebuild from the storm. While I recognize that FEMA is responsible for spending its resources properly, they also have an obligation to treat people with fairness and respect. Innocent citizens should not be bullied by the heavy hand of government for mistakes that were of the government’s making. Each of these disputes must be dealt with on a case-by-case basis, with the goal being a mutually agreed upon resolution between FEMA and aid recipients. The last thing government should be doing in this situation is making things even harder on residents of the Jersey Shore. Over the last year I have traveled all across Ocean County in my campaign for Congress. During this time I met some extraordinary people who have shown great strength and resilience in rebuilding after they lost everything. These people deserve fair treatment from their federal government — especially here in New Jersey where we receive back only 61 cents of every tax dollar we send to Washington. As congressman, I pledge to work with people in both parties to ensure that those impacted by the storm — and all of my constituents — are treated fairly by serving as their greatest and most persistent advocate in Washington and here at home. 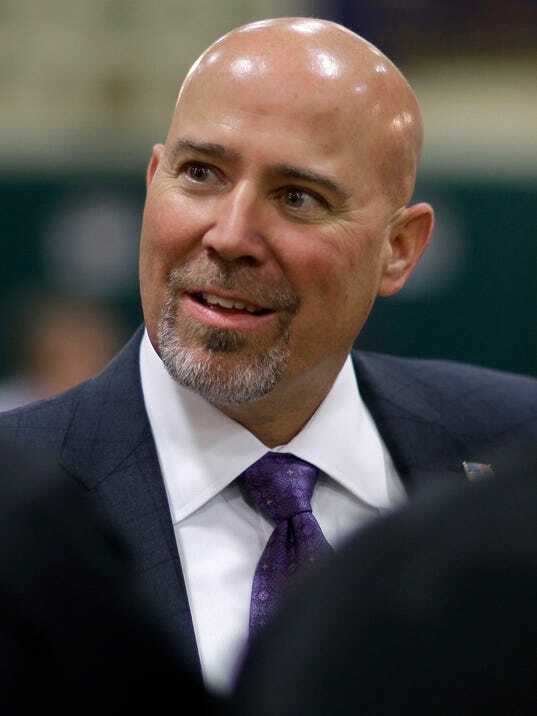 Tom MacArthur is congressman-elect from New Jersey’s 3rd Congressional District.